Why pay for anti-virus when I can get it for free? Many users have rubbed along with free anti-virus programs for years so why should they pay? The answer comes down to features and control. You may also find that your free software gives you lots of adverts, slows down your system with a “large footprint”, or is not quite so quick at preventing access to infected sites. I have 30 PCs. I never know if they are up-to-date with virus definitions! Our remote management console makes it simple to install, update and configure your PCs for full protection. We can initiate remote scans of your PC and we can even implement monitoring of your PC for vulnerabilities in the operating system or installed software thus maximising your protection. If I’m careful on-line I won’t need anti-virus, will I? It is a mistake to think that you’ll always spot an infected site or that if you don’t browse “dodgy” sites you’ll be fine. Cyber-crime has steadily increased in subtlety over the years. Just mistyping a URL could take you to a “squatting” site which instantly infects you with a virus. Opening seemingly innocuous attachments can do the same. Which anti-virus product is right for me? 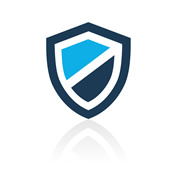 This site compares the major anti-virus products on a regular and ongoing basis. You will see that our most commonly recommended solution, ESET, scores consistently in terms of dealing with threats and system performance. It is easy for us to set up and for you to use.